Heist Mode allows up to five devices to control any speaker. There’s no setup and it’s universally compatible with all Bluetooth® devices, so anyone can jump in and drop a track. And if you don’t like what’s playing, heist it. 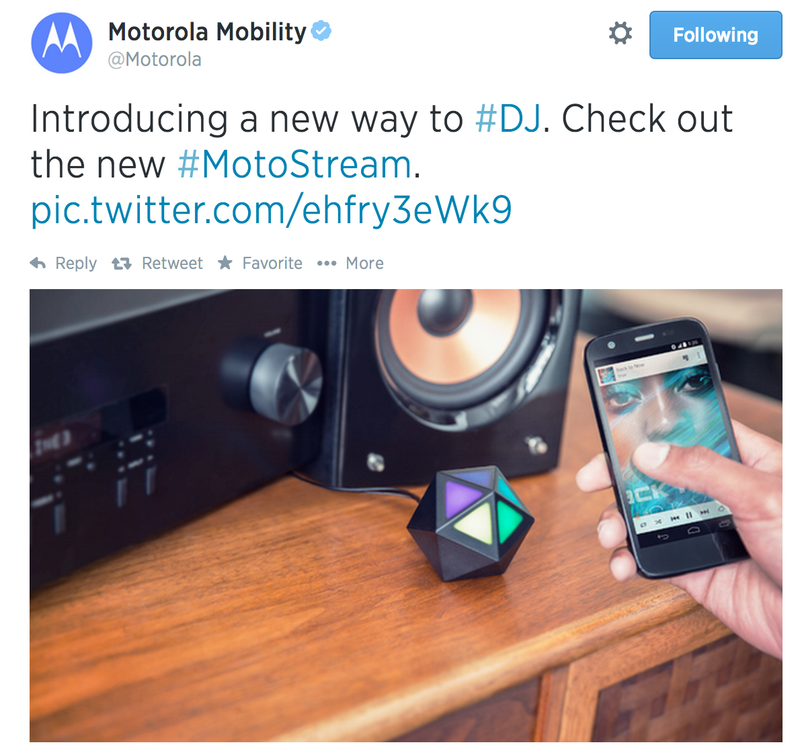 Moto Stream lets you set music free, turning any speaker wireless and allowing you to stream music from any smartphone, tablet, or computer. And if that wasn’t liberating enough, you have 300 ft of roam range to play with. While Motorola is still technically a Google company, the Lenovo’s $2.9 billion purchase of the company is expected to complete later this year.